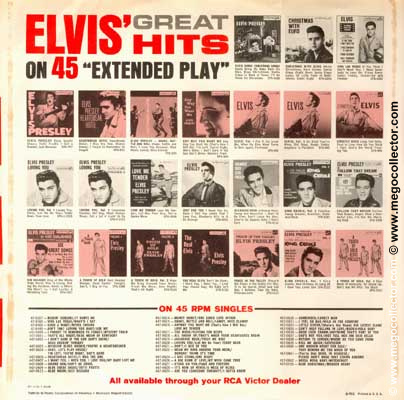 This is a pictorial guide of Elvis Presley 45 RPM records released in the US by RCA and SUN. This pictorial guide includes a few variations. In the early years, RCA production plants had issued 45s with and without lines and with Nipper “Dog on Top” (DOT). Error releases omitted the “Dog on Top” (DOT) and are quite difficult to obtain. Several of the early issued 45s did not include a picture sleeve. A few talented artists have provided the collecting community with their interpretations of what would have been issued. I will provide variations in a separate guide. The original gallery provided on this website hasn’t been updated in several years. 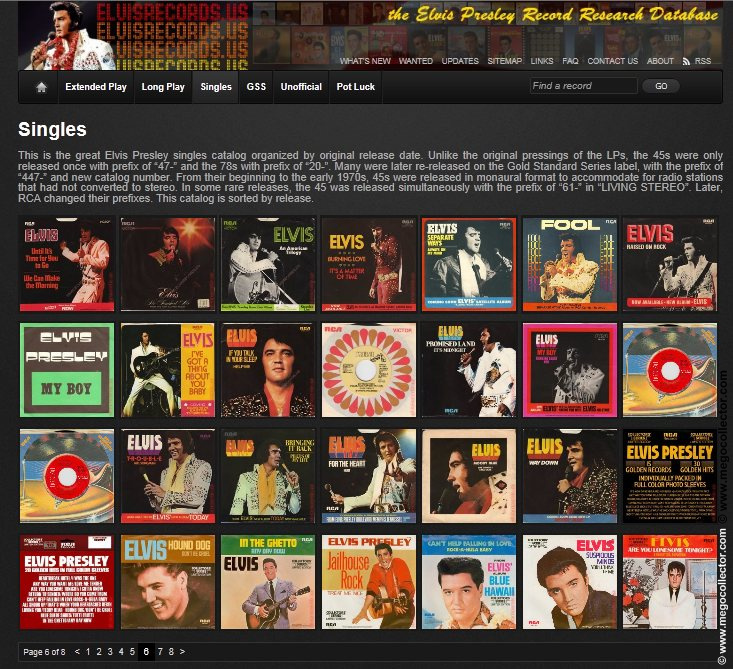 However, is actively maintained on our sister site, www.elvisrecords.com. 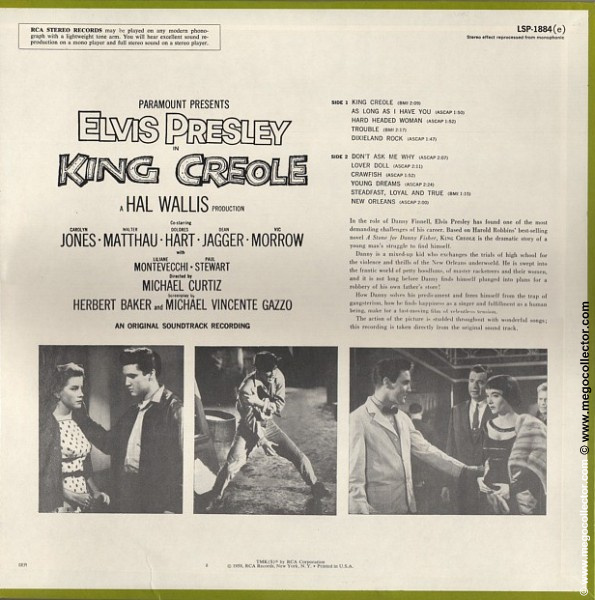 Please go to elvisrecords.com and click on Singles for not only a gallery, but additional information.